In this tech-driven world, a major chunk of people turn online for making decisions. Online reviews have the insane power to change the decisions of the potential customers. They can have a massive impact on any business, be it negative or positive. Having a positive online reputation is necessary for a successful business. Negative online reviews can damage the reputation of any firm and lead it rank lower on top Google search pages. Moreover, customers may reach the negative reviews before reaching your website. Studies say that 90 per cent consumers read online reviews, and 88 per cent people rely on these reviews while considering a business. This means that the potential consumers will depend on the opinions of others, no matter how compelling your offer or how good your website is. 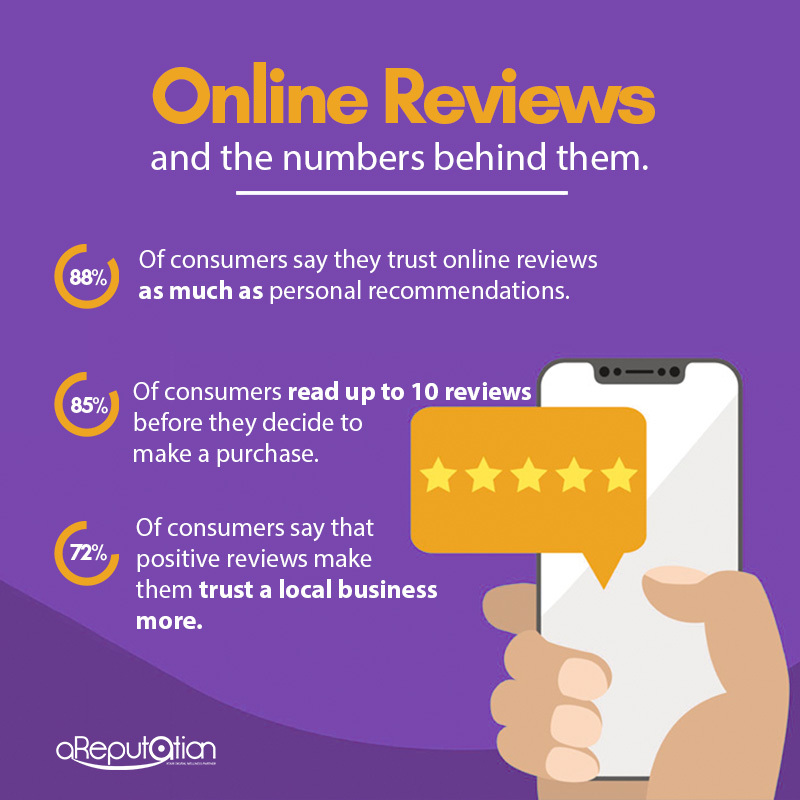 Every business owner desires a positive online reputation. Negative reviews do appear even when no business wants them. Negative online reviews are not ideal, but can be tackled. Responding to the negative reviews can prevent a brand from severe damage. However, Online Reputation Management can help you deal with it better. ORM is not just about responding to negative feedbacks. It is a perspective management of a business with positive reviews. According to the experts at aReputation, an ORM policy comes with a strategy to earn and manage your online reputation. It keeps a tab on the review flow of your brand by tracking the keywords. In a SEO strategy, keywords help in scanning the reviews floating around a brand name on the Internet. Online reviews have various benefits. Promote the positive: A brand can say all the good things about itself, but a positive review from a customer is always more valuable. In fact, you can share a positive review on social media for creating a long-lasting effect. Build Trust: A bunch of positive reviews on site can make the customers doubtful. Having few negative or neutral reviews will make it authentic. A balanced combination of reviews benefits a brand, as it depicts transparency. This helps a firm build trust its customers. Improve Rankings: Third-party websites like TripAdvisor, Yelp or Mouthshut are gaining importance with time. The data of these websites is pulled by Google to improve the search result quality. Therefore, the more positive online reviews, the better will be the ranking of a brand. Online reviews enable customers highlight the services of your brand. Little things that are valuable to the customers can remain unnoticed by you, but stand out in online reviews. Online Reputation Management policy provided by aReputation helps build a proactive approach that is necessary for every business. It assists a firm in managing any defamatory content being published online.